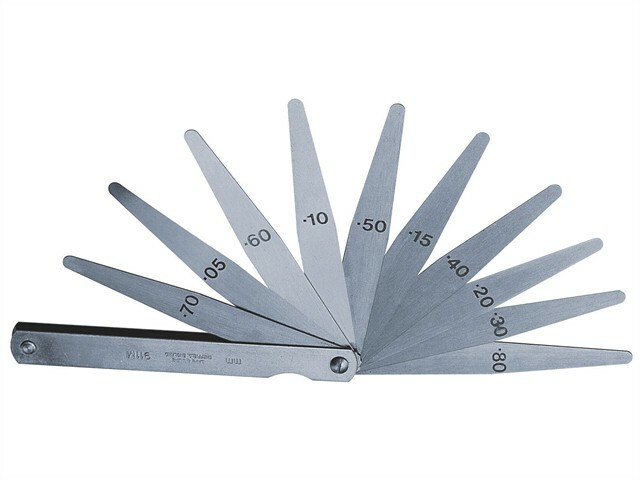 The Moore & Wright Safe & Sure® Series Feeler Gauge Set is an economical range of feeler sets for general workshop use. All the blades have been hardened, tempered and polished. The nominal thickness is marked on each blade.